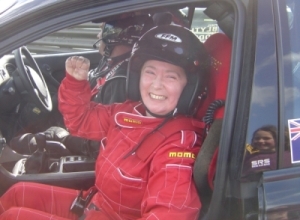 NZV8 Race Experience principally utilises Manfeild - Circuit Chris Amon, located in the Manawatu Region, as the Central venue for our 400kw NZV8 Race Drive Experiences. 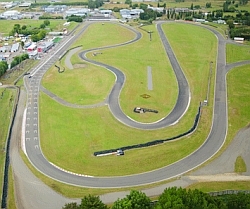 Manfeild - Circuit Chris Amon is situated off South Street on the outskirts of the borough of Feilding. 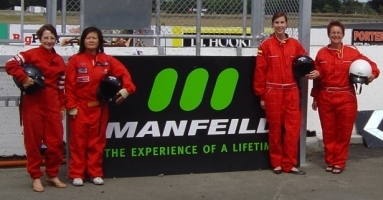 Manfeild is an expansive and extensive driving facility, which in our opinion, is one of the country's premier motor racing circuits. 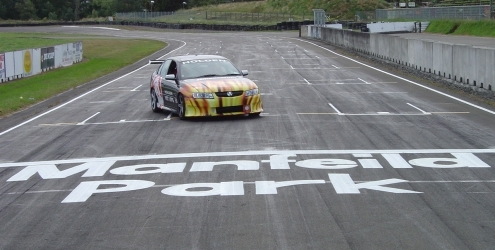 It has long been favoured by racing drivers as a challenging and enjoyable race circuit. Manfeild - Circuit Chris Amon boasts an excellent mix of tight corners, flowing sweepers and three substantial straights. The main circuit is 12mtrs wide and 3kms long, with most of the corners having positive camber built into their design so as to enhance the racing experience. Additionally, the entire circuit is clearly visible from the front straight spectator areas. NZV8 Race Experience utilises the Ground Floor administration suite, (adjoining the trackside pit lane) of the 3-storey Control Tower Building complex as our exclusive NZV8 Race Experience base. On-site catering is available by prior arrangement for corporate or special events. There is a selection of motels in Feilding and a full range of accommodation available in Palmerston North. When staying in Feilding, the NZV8 Race Experience Team prefers to exclusively stay at the nearby Raceway Court Motels. AVIS Car Rentals are available from the Palmerston North airport. Generally 1-2 days per month, throughout the majority of the year.